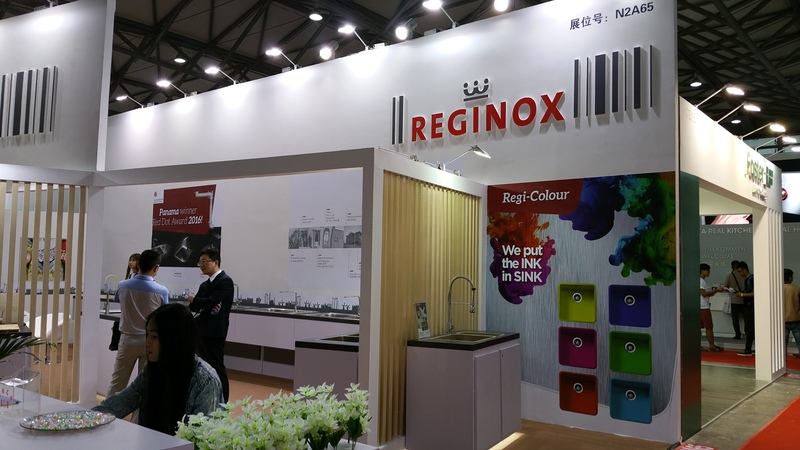 News - KBC exhibition in Shanghai again a great success - Reginox: the crown on your kitchen! Despite the poor weather conditions in Shanghai – which resulted in the cancellation of many (domestic) flights – the exhibition was nevertheless well-attended. 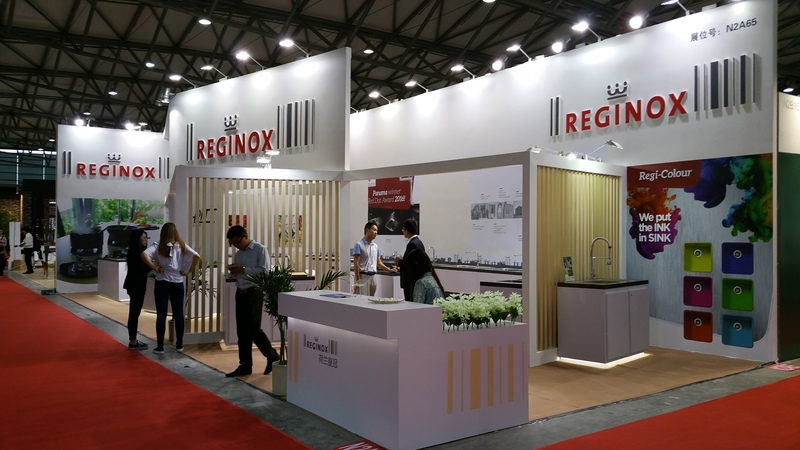 Reginox was able to speak to many existing business contacts, but also to new ones. 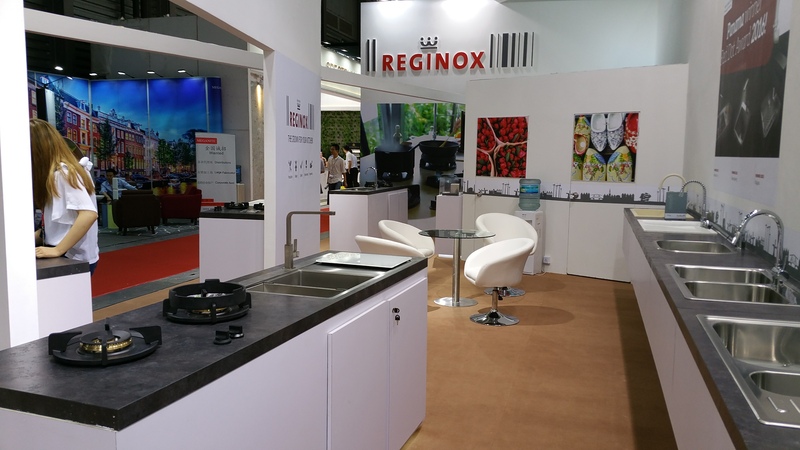 As you can see in the photo below, Reginox made a great display. 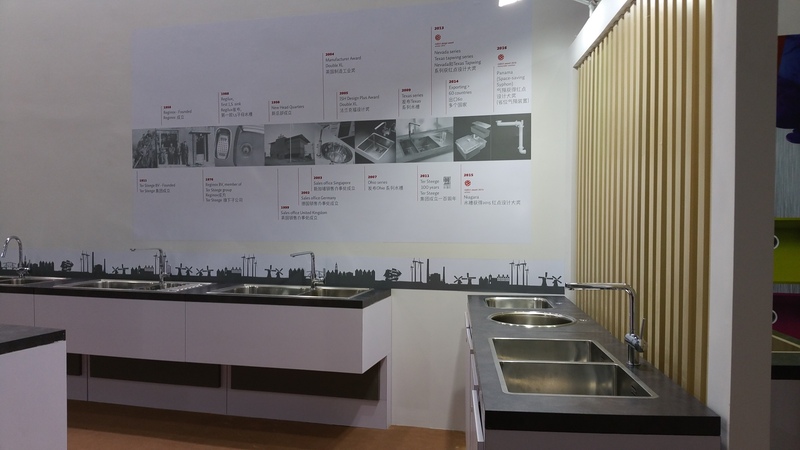 The purpose of participating in the exhibition was, among other things, to showcase new as well as existing products. 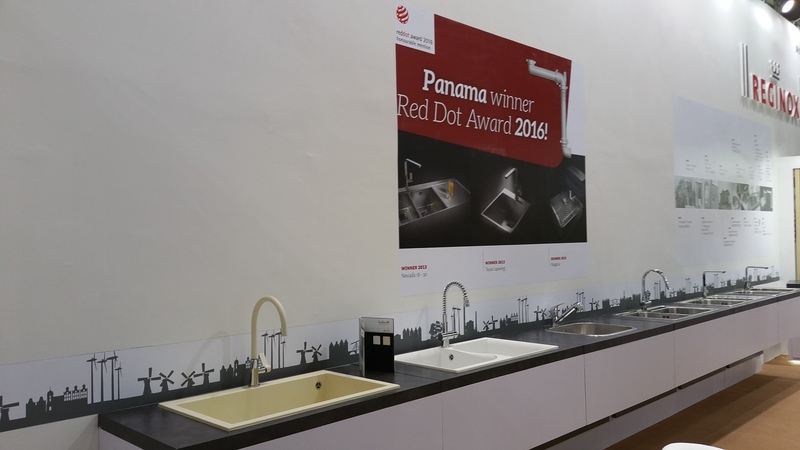 As regards new products, we displayed our splendid coloured sinks (Regi Color) and the space-saving syphon ‘Panama’. 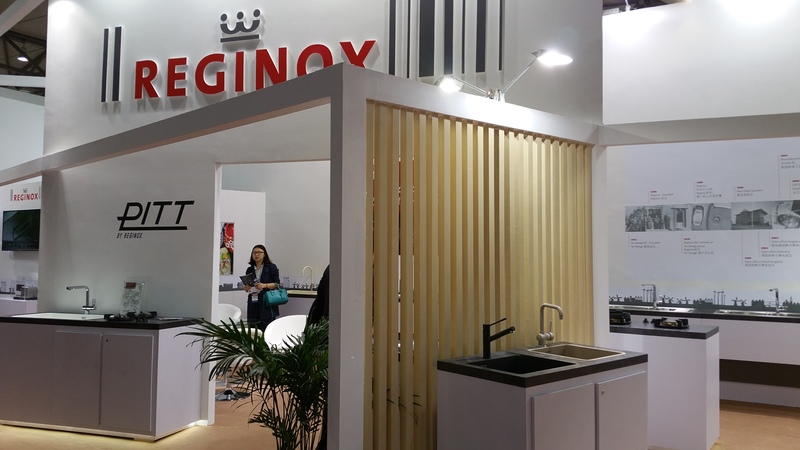 The visitors were also able to see a number of existing sinks from Reginox: from the red dot winners, there were the 2013 aesthetic Nevada 18-30 and the ingenious 2015 Niagara, as well as a number of sinks that were specially developed for the Asian market. 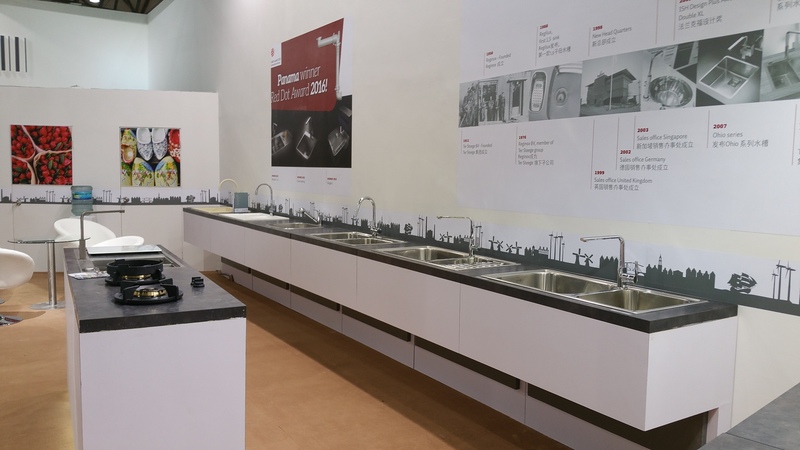 Finally, there also were some Regi-granite sinks and the powerful and unique designs from Dutch innovation 'PITT® by Reginox' gas hobs. All in all, we can look back on a very successful participation in the KBC in Shanghai, so we are looking forward to the next edition!